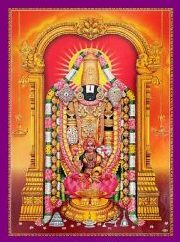 Venkatesawara Vratham – Lord Balaji Miracles – Sree Venkatesawara Vratham PDF book is available for download in Telugu, English, Hindi, Marathi, Kannada, Tamil, Italian, Malayalam and French. MP3 Audio is available for download in Telugu, English and Malayalam. Venkateswara Vratham – Lord Balaji Miracles is about the divine and miraculous vratham of Lord Sree Venkateswara. Read the true incidents witnessed and experienced since September 4th 2010, by a Telugu family (Lalitha Rushikesh) living in North Carolina (moved from California), U.S.A. Yes, we are still experiencing the miracles. We perform Sree Venkateswara Vratham – once a month at our home in Raleigh, North Carolina (moved from Trabuco Canyon, Califonia), USA. All devotees are welcome to RSVP and take part in the puja. Subscribe to our email alerts or like our facebook page to get notified.